Want to improve your coaching skills, attract more eventing clients to your door and benefit from the support BE coaching offers? Then get accredited! • Development Coach – for training riders to Novice level. • BE Coach – training those at one and two star level. • Master Coach – working with international teams and combinations at three and four star level. With international competition and industry experience so valued, coaches can head straight for assessment as a BE Coach, but many of the household names in our sport have instead opted for entering and staying at Development Coach level as any level of accreditation will bring its advantages. Detailed qualifications are available on the BE website, but we’ll cover the fundamental requirements to becoming a Development Coach here. • British Horse Society First Aid/ Health and Safety at work. • Safeguarding and protecting children workshop certificate. • Biannual Disclosure and Barring Service check (also called a DBS check). There are two routes to becoming an accredited Development Coach. The fast-track for those with the BHS Stage 4 Senior Coach in Horsemanship is to complete a BE Specific Assessment. The alternative, which invite coaches with some or no previous formal qualification, is to apply for the eventing-specific UKCC Level 2 course. Undertaking the UKCC Level 2 costs approximately £800 and includes four day-long workshops, assessment and certification. At UKCC Level3, a BHSI (BHS Stage 5 – Performance Coach) who is involved in the sport can undertake a BE assessment or join the programme and study the full BE-specific UKCC Level 3. Successful completion will enable coaches to become BE Accredited. 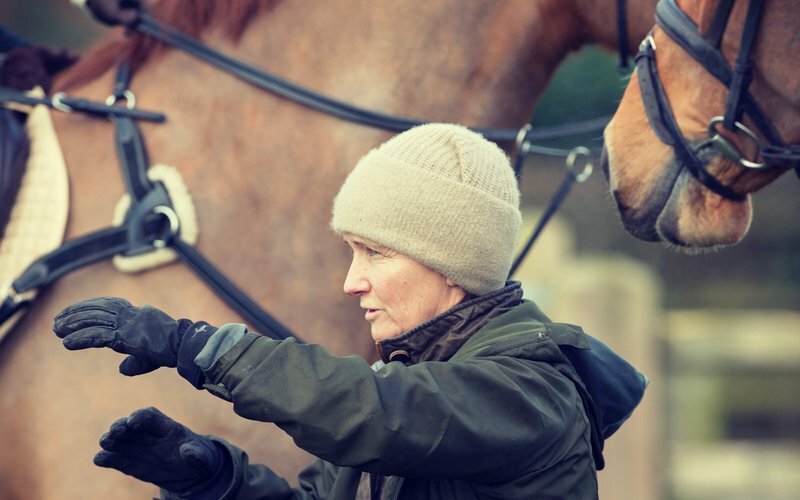 The British Horse Society has rebranded and repackaged its qualifications, creating a specific coaching pathway which still covers an all-encompassing level of horsemanship. You can use Pony Club tests to miss out a few stages as part of the ‘Recognition of Prior Certificated Learning’ and the Stage 3 Coach qualification (formerly BHSAI) also garners UCAS points for university. Application details are available on the BE website in the winter. A potential Development Coach should already spend a significant amount of time in the industry, be coaching four or more combinations up to BE Novice level or above and have a good understanding of BE’s pathways. It is hoped applicants will have ridden successfully at CCI1*, have worked with or shadowed a BE Coach and have taken part in Sports Coach UK workshops or ongoing continuing professional development. There are three regional courses run throughout the country. Applications are taken from all nine regions and then divided and allocated. Coaches are then notified of their successful application in February. As a group, they will then schedule in four workshop days and their assessment day to be completed by the end of the season. The dates are agreed to fit everyone’s commitments as best they can. Each coach is given a portfolio in which to chart their coaching of four of their own BE-registered pupils over a four- to five-month period. It will demonstrate what reviewing their progress. Each workshop consists of a theory session, where coaches are assisted with their portfolio, and includes a discussion group. This will cover subjects such as coaching styles, rider psychology and learning styles so the coach is better able to recognise when to instruct, when to set up an exercise and stand back, and how to empower the rider to make their own decisions and become less coach–dependent. The workshop may then consist of flat, jumping or cross country training sessions with all three disciplines covered before the assessment day. The coach educator will also give candidates homework for between the workshops depending on their individual needs. If you don’t feel ready for the assessment, extra training days can be arranged at a cost of £65–£100. The assessment day costs approximately £500 (complete) and candidates may retake individual sections at an extra fee. The six candidates meet with three assessors, who themselves are monitored by an external verifier to ensure standards are consistent. • A 30-minute individual flatwork lesson in which they are encouraged to assess the rider and horse, and then agree a goal for the session. • A 40-minute show jumping session for three riders, often using a grid or related distances. They are encouraged to demonstrate how they involve all riders in one session. • A 40-minute individual cross country session, during which they are encouraged to discover the normal training regime for the combination before making changes and assisting on an agreed plan. After a successful assessment, you have reached your destination and become a BE Accredited Coach! For some inspirational warm-ups from other coaches, click here.